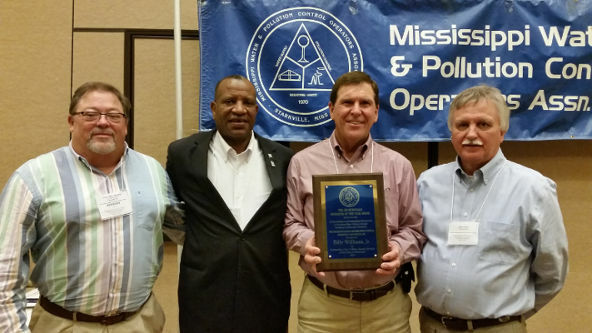 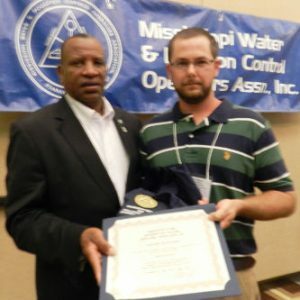 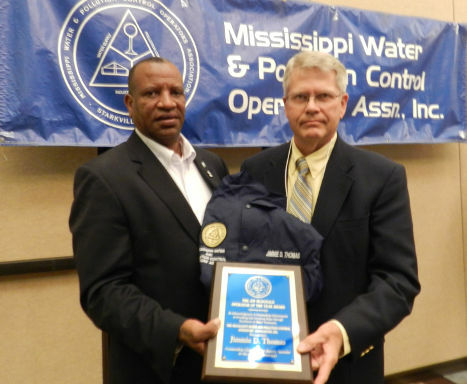 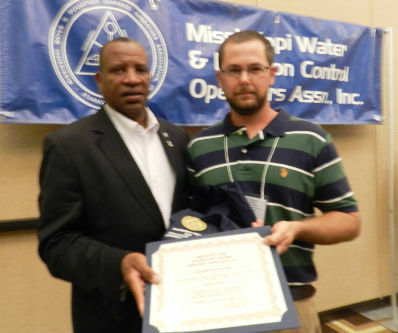 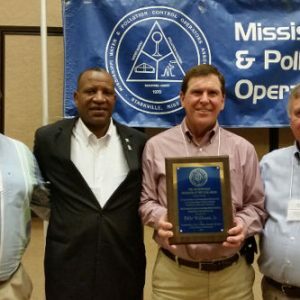 Josh Hathcock of Greenwood Springs was recognized as one of two finalists for the 2017 Jim McDonald Water Supply Operator of the Year for a “Class B or C” Water System, an award presented by the Mississippi Water and Pollution Control Operator’s Association. 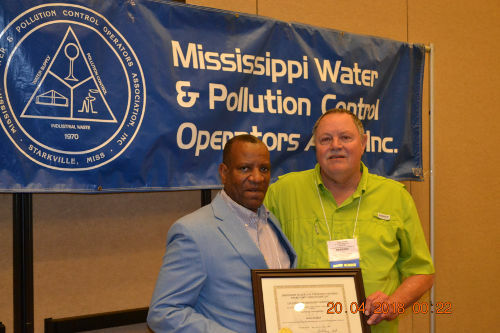 MWPCOA President Anthony Hall recognized Hathcock’s achievement at the Association’s Annual Conference in Biloxi, MS on April 18. 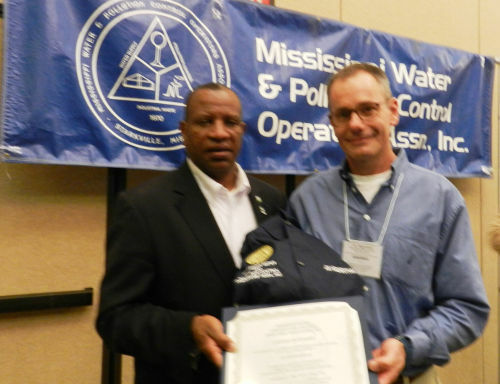 MWPCOA represents more than 2,500 certified water and wastewater operators in the state. 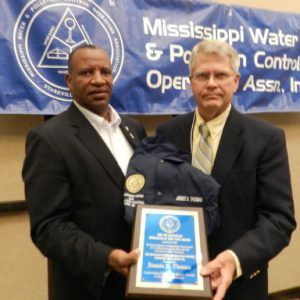 The Jim McDonald Award is presented each year to a water operator who exemplifies professionalism and dedication to his work. 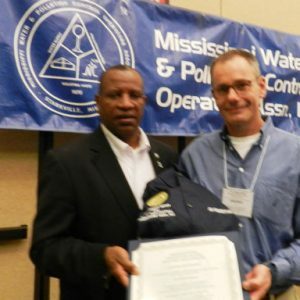 MWPCOA members submit nominations which are reviewed by Association’s Board of Governors. 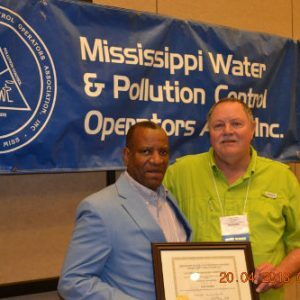 A final selection committee visits the operator’s facility and conducts an interview from which the final recipient is chosen. 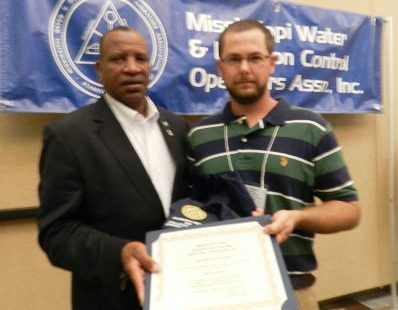 (Photo Attached) cutline: (Left to Right) MWPCOA President Anthony Hall recognizes Josh Hathcock as a finalist for the 2017 Jim McDonald Water Supply Operator of the Year Award.